Cornubia Phase 2D, also known as Blackburn Village IBBV1, is located across the N2 west of ilinga, and is a lively home to about 4 500 residents, the majority more than 90%1 of whom are under the age of 40 years. 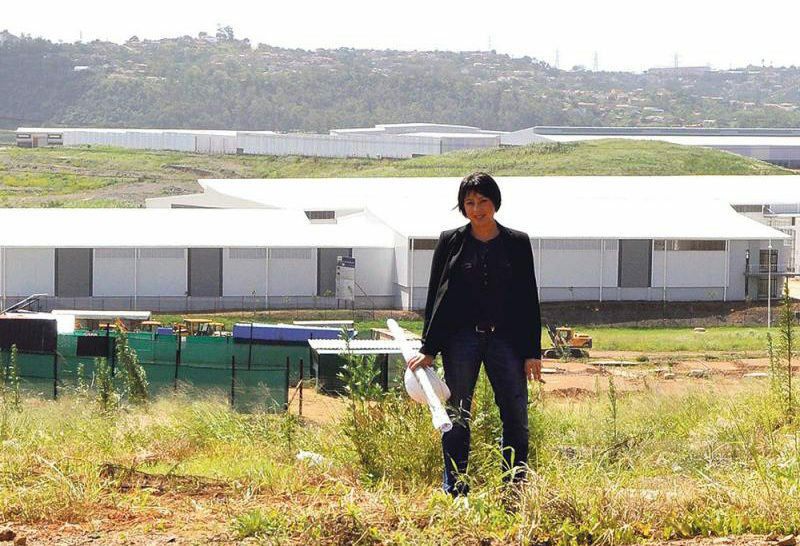 This community is relatively highly literate, as almost 100% have an education of Grade 9 and above yet only 36% are employed in the greater Umhlanga economic node that creates more jobs than work-seekers at BBV. 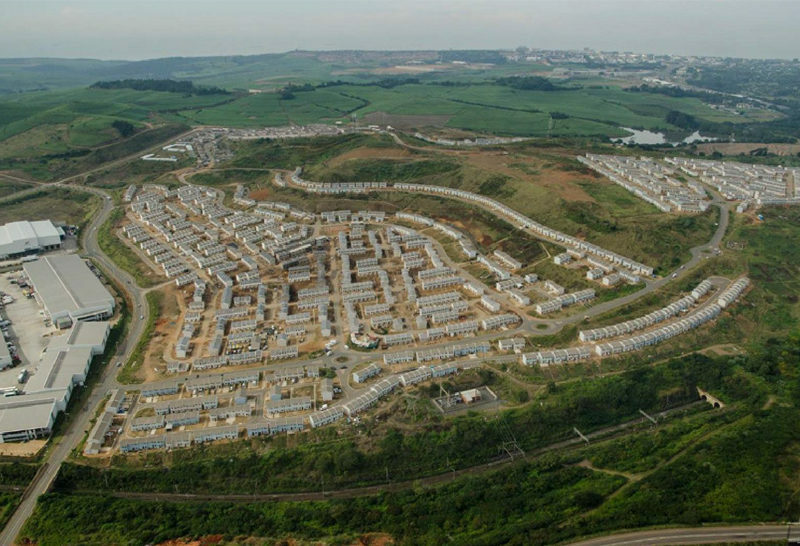 Zero percent unemployment in Cornubia including BBV is the goal set by Tongaat Hulett and the eThekwini municipality to facilitate a socially and economically integrated greater Umhlanga region,” says Tongaat Hulett Developments‘ MD Mike Deighton. 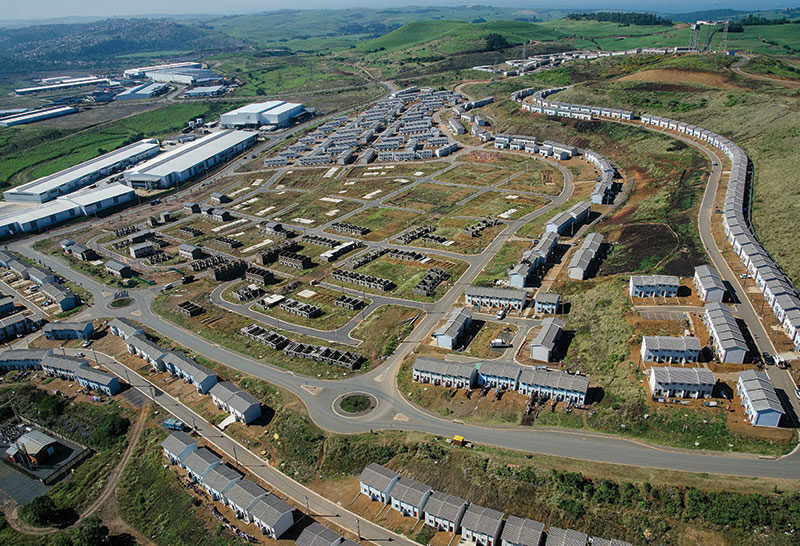 “Settlement of indigent people in the proximity of opportunity does not guarantee economic participation and social cohesion, unless deliberate interventions are implemented to enable self leadership and development, which leads to economic participation,” says Bongani Gumede, Tongaat Hulett Developments‘ Executive Head for Community Public Private Partnerships. iThuba, meaning “opportunity”, is a programme that facilitates upskilling and linkages between local demand and the supply of labour. Walk in iThuba centres managed by the communities have been established in BBV, Cornubia Phase 1 and Waterloo, all feeding the iThuba Training Centre at BBV’s socioeconomic sustainability and innovation programme SSIB hub. The Training Centre is a catalyst for skills and enterprise development that enables economic participation and improves quality of life. Focus is on dominant economic sectors such as construction, retail, hospitality and property services. 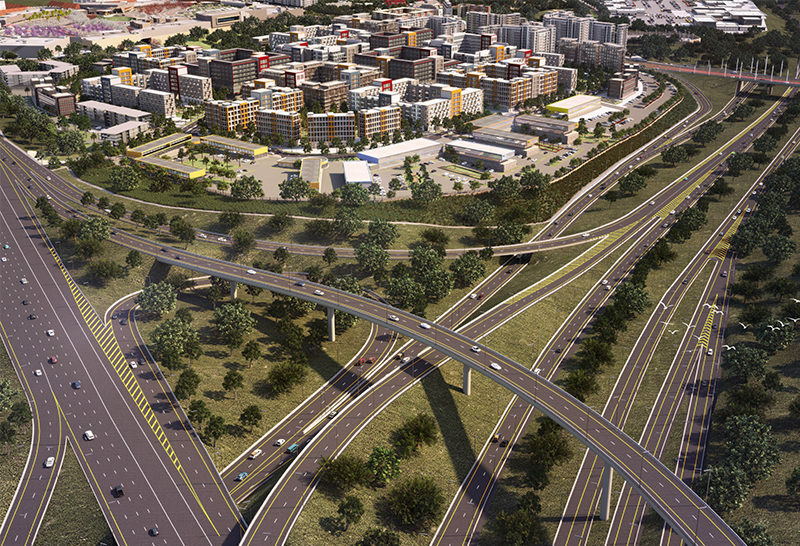 This public private partnership is a key city strategy in accelerating development and service delivery. While Tongaat Hulett has made some property available for the development of sports and recreational facilities, the city is preparing for the installation of an outdoor gym. These initiatives are implemented by empowering the community to lead issues of importance through the iThuba Steering Committee. Major developments undertaken in close proximity to low income housing settlements should employ some of the inhabitants, but this is not always the case. 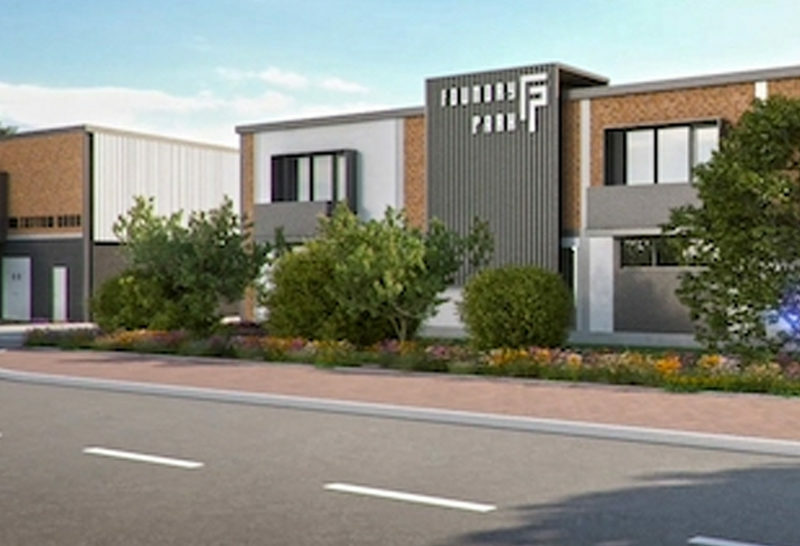 “The challenge is that communities battle to meet the skills requirements for the jobs:” says Rieva McMurtrie of Tongaat Hulett Developments. Construction companies tend to bring their own skilled staff, or use conventional channels to source skilled people, so people from surrounding settlements often don’t get to participate in the new economies that are created. “Programmes such as iThuba are the essence of our SSIP,” says McMurtrie. The SSIP addresses the effect of developments on the communities they surround, who need to understand what is happening in the area, and the direct impact these developments will have on their lives. Tongaat Hulett engages with these communities long before the first grader arrives on site. Extensive surveys help to obtain a clear picture of the population demographics in the development area. Cornubia, targeted at indigent beneficiaries across eThekwini municipality together with BBV, has a high need for social services. Statistics reveal the misalignment between social demographics and social amenities. For example, there are nearly 1 000 children under the age of six, with only 80 attending early childhood development centres ECDCs . More than 1 600 children of school going age are attending schools in neighbouring communities, with a temporary Solomon Mahlangu Primary School in Cornubia Phase 1 accommodating 700 learners. After school support services are lagging but desperately needed to keep the children off nearby construction sites and rubbish dumps. There are, however, initiatives to accelerate more social facilities, such as ECDCs,the development of a new school in Phase 1 and recreational facilities. At BBV there is one dusty sports field that serves the entire community, while other teams are training in the nearby cane fields’ loading zones. The creation of ECDCs is one of Tongaat Hulett’s key interventions part of its education training placement programme. The BBV community is proving that, with empowerment, communities can sculpt their own destiny. The renovations of the iThuba community centre and the ECDC were all done by three BBV construction companies.These companies all based in BBV were able to employ 37 newly skilled graduates from the iThuba training centre, all residing in BBV. 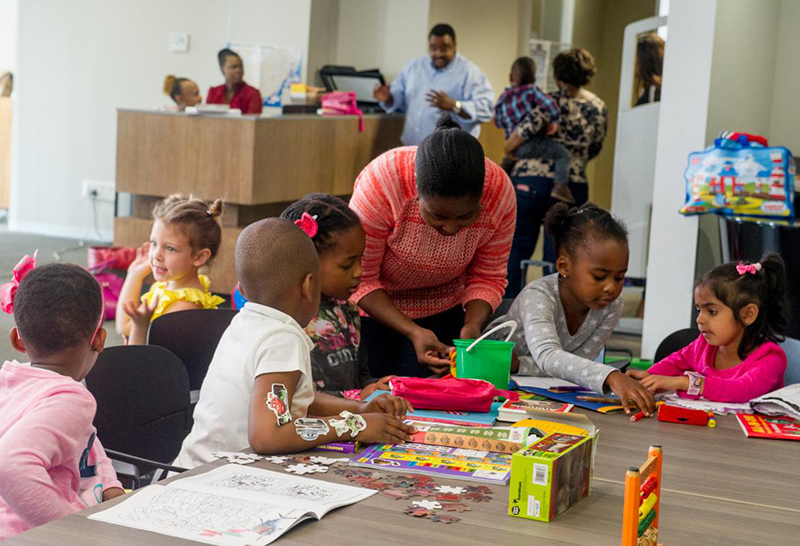 The Blackburn ECDC was renovated in 2017 and is run by two community caregivers overseen by a temporary mentor, Nonhlanhla Sithole, a qualified school teacher.The centre accom modates children from birth until the age of six. The training centre, piloted with the opening ofa construction skills programme towards the end of 2016, coordinates job opportunities and work seekers, assessing skills gaps and upskilling and linking people to opportunity through training programmes. The initial programme is funded by Tongaat Hulett; work is under way to encourage others to contribute Ito the initiative. The pilot construction training has provided many lessons to help improve the roll out of the programme learn and earn and lifelong learning by ensuring continuous skills adaptation for a changing workplace via incremental improvements.The programme has been a runaway success. It is encouraging that the Ridge Management Associations, among others, have answered the call to contribute to this initiative. The centre’s training facilitators include artisans retired from the construction industry as well as some contractors and business owners active on projects in the area. This success indicates that there is a definite role for retired professionals willing to contribute their knowledge and skills to the development of neighbouring communities. The quality of training is of such a high standard that more than70% of training centre graduates are placed in jobs within the greater Umhlanga area. Electrical skills development facilitator Nathi Mutwa was able to brief the new graduates on the building’s requirements, leaving them to get on with the work with minimal supervision. Such is the quality of the training and the calibre of the facilitators. iThuba is fast becoming a centre of excellence, and a reliable conduit for the community to participate in new developments. Community members already employed on local construction projects frequently return to the iThuba training centre for upgrades to their existing skills set. Community members are initially interviewed by iThuba administrators, recording personal details, skills and work preferences on a central database. They are contacted when training becomes available in their preferred sectors. The database will soon become accessible to local businesses with the view to ensuring that as many future jobs as possible will be taken up by people from communities within the greater Umhlanga area. As people undergo training, details of their skills development are recorded on the database. Neliswa Nogoni, a local university social sciences graduate, is iThuba’s administrator and an active member of the community. She says that feedback from employers indicates that graduates from the training centre are considered very “sharp”, and more than adequately skilled for the work they are employed to do. The centre trains on demand from Monday to Friday an essential part of its strategy to ensure the trainees are placed in local jobs with classes in a network of buildings located just 15 minutes’ walk from BBV. Uniformed trainees create brick and cement structures, chase walls for wiring conduits, run pipes, install toilets and read plans all under the watchful eye of facilitators who pass on the knowledge they gained from a lifetime of quality workmanship. Graduation takes place every Friday. As awareness of iThuba grows, it is the hope that local businesses will assist by applying their know how to resolving some of the most pressing community challenges. While conditions and lack of services and social amenities remain a challenge, BBV remains a home, a vibrant community determined to improve the lives of its members. Recent iThuba statistics indicate that the average age of the residents is under 40 years, with 36% employed in an economic region that creates more jobs than work seekers. What is encouraging is that more than 90% want skills to improve their prospects. Successful lessons from the BBV iThuba community centre led to the city including BBV in the Urban Safety Governance Master Class 2018 for informal settlements, and presenting the BBV iThuba case study at the World Urban Forum in Malaysia in May 2018. The case of Blackburn as an integral part of the Greater Umhlanga region confirms the eco systemic nature of demand and supply linkages and the fact that neighbourhoods of different socioeconomic status can co exist sustainably if planned properly. When communities stand up and develop their neighbourhoods, nothing is impossible and if they can do it with so little, why can’t we? Feedback from employers so far has been very positive: trainees from iThuba are sharp and well trained.